Enjoy this year-round destination offering a variety of outdoor recreation, cultural activities, wineries, golf courses, and many other fun things to do onsite and in the surrounding areas. Taste distinctive varietals at Nk'Mip Cellars Winery, an Aboriginal-owned and operated winery and vineyard located adjacent to The Residences at Spirit Ridge. Nk'Mip Cellars Winery offers year-round wine tasting, award winning wines, a restaurant with a patio, a wine shop and winery tours. Visit www.nkmipcellars.com. Release muscle and mental tensions in the blissful spa oasis of Solterra Desert Spa. Located adjacent to The Residences at Spirit Ridge, Solterra Desert Spa offers a complete menu of holistic massage therapies and body treatments, specialty treatments, and beauty services. Visit www.solterradesertspa.com. Learn the history of the Osoyoos Indian Band and the interesting ecology of the surrounding area at the Nk'Mip Desert Cultural Centre. This interactive Osoyoos attraction features interpretive exhibits, nature trails, guided tours, educational programs and cultural activities. Visit www.nkmipdesert.com for more information. 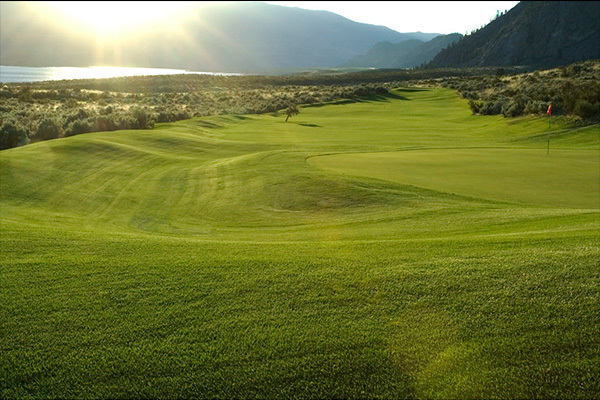 The Okanagan Golf Course offers the ultimate convenience in Osoyoos golf getaways. The 9-hole Osoyoos golf course is located at The Residences at Spirit Ridge. Play a leisurely 9 holes or extend your play with an extra round. The Okanagan golf course features a full-service clubhouse, pro shop, and practice areas. Visit www.sonoradunes.com. Seasonal. Spirit Beach Water Sports offers a variety of water sport and off-road activities including boat rentals, Jet ski rentals, paddle board rentals & lessons, and the latest in accessories and sporting equipment. Visit www.osoyoosatvtoursandwatersports.com. Seasonal. Spend your summer days on the sunny shores of Osoyoos Lake, the warmest lake in Canada. Guests of The Residences of Spirit Ridge enjoy access to the private beach at Osoyoos Lake. Osoyoos Lake offers endless recreational possibilities including swimming, boating, kayaking, canoeing, wakeboarding, waterskiing, and fishing. Osoyoos Lake is a 15-minute walk from The Residences at Spirit Ridge. Call 877-313-9463 for more info. Oliver Osoyoos Wine Country starts at McIntyre Bluff, north of Oliver, and extends right to the Canada/USA border, just south of Osoyoos. The Residences at Spirit Ridge is the perfect jumping off point for all 36 area wineries. View a map of the region here. Wakeboard on Osoyoos Lake with the resident experts at Wakepilot Wakeboarding. Thrilling fun for beginners and experts, wakeboarding offers fun for the whole family. Wakepilot Wakeboarding provides the boat, driver and wakeboarding essentials, making your day on the lake convenient and hassle-free. All-inclusive wakeboarding camps are also available. Visit www.wakepilot.com. Okanagan Mountain Helicopters has been providing unique and spectacular heli-tours in the Okanagan for the past six years. With modern R44 helicopters offering great views for up to three passengers, every trip offers guests the opportunity to experience wine country from a special perspective. Departing just a short walk down from The Residences at Spirit Ridge, your tour will show you all the scenic beauty and variety of activities that this amazing region has to offer. 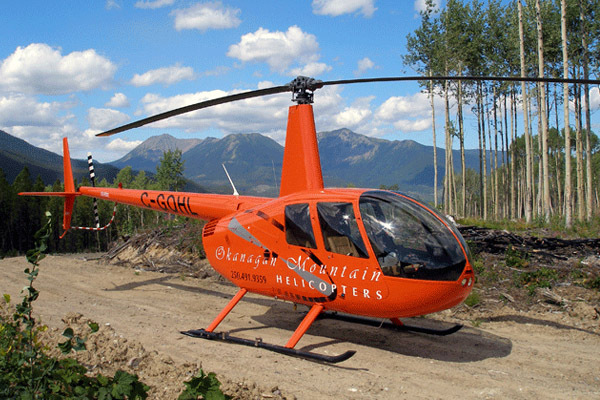 Visit Okanagan Mountain Helicopters for more information. Enjoy hours of family fun and entertainment awaiting you at Rattlesnake Canyon amusement park. The western mining town-themed Rattlesnake Canyon features miniature golf, Go-kart track, arcade, bumper boats, climbing wall, kid-friendly rides, and much more. Rattlesnake Canyon is just one block from Osoyoos Lake. Visit www.rattlesnakecanyon.ca. Osoyoos Desert Model Railroad is a dream come true for train and railroad buffs. 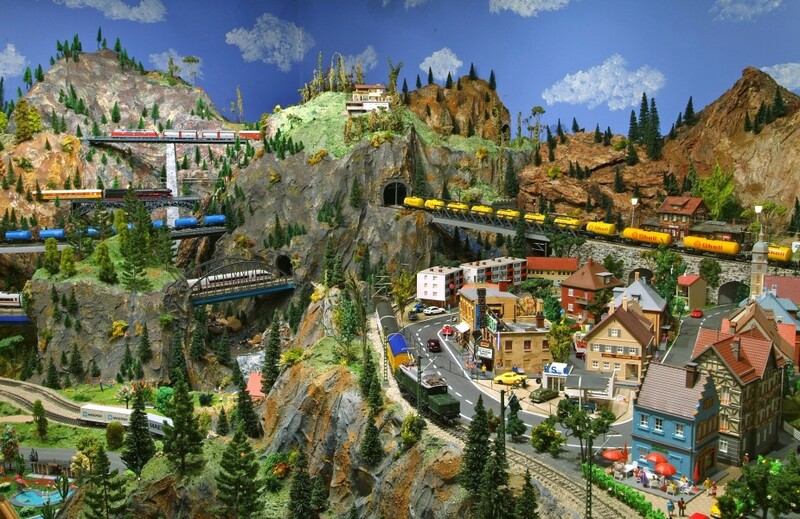 This fantastic attraction houses the largest Marklin model train layout in Canada. 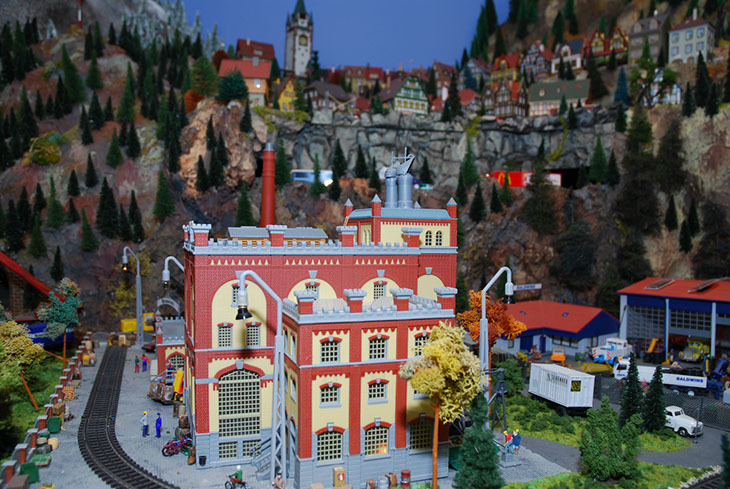 Be amazed at the intricate details of the miniature track that includes 30 computer-operated trains, more than 15,000 hand-painted toy people and 1,600 houses spread throughout the 4,000-square foot museum-like attraction. Visit www.osoyoosrailroad.com. A world-class racing circuit. Designed by Canadian racing legend Jacques Villeneuve, the circuit at Area 27 captivates, challenges and rewards drivers of all skill levels. Enthusiasts can comfortably explore the limits of even the most exotic performance machine. Visit www.area27.ca for more information.